In October, our New York City office was fortunate to be a part of the 3rd annual Fast Company Innovation Festival. 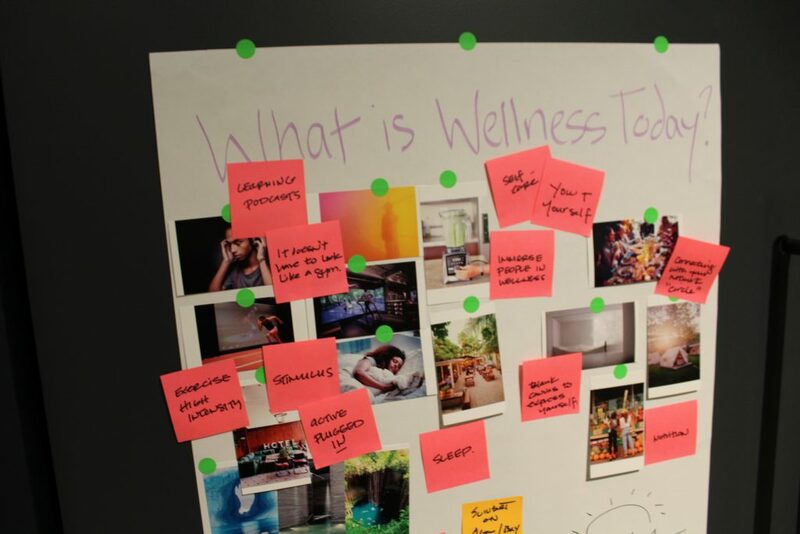 As part of this year’s theme of “Leading with Optimism”, CannonDesign hosted a Fast Track event inviting attendees to explore “The Need for the Third Place: Creating Wellness Spaces of the Future”. The festival, which occurs each year in New York City, gathers thousands of attendees from all parts of the world, ranging in backgrounds from tech, fashion, design, retail, health, business and more. Like the diverse groups of people who attend, the events also range from keynote presentations to interactive workshops. For our event, we chose to do a bit of both: a presentation and a workshop. 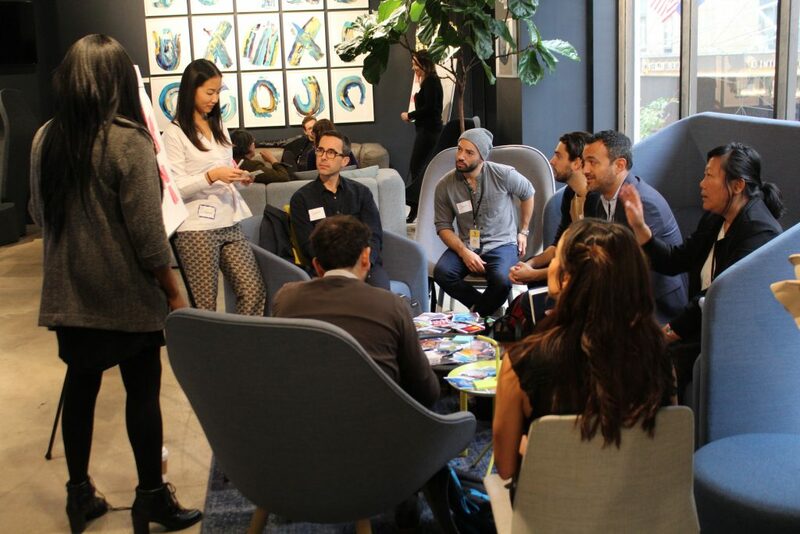 Set in Studio Tag’s intimate Manhattan showroom, our event welcomed 25 people for a healthy lunch, a presentation from NYC Interior Design Director, and an interactive workshop. Throughout the entire event, we sought to establish the need for “The Third Place,” a term coined by sociologist Ray Oldenberg that refers to the idea of a public, social place outside of our homes and workplaces where we can feel well. Everyone’s personal “third place” is unique and attendees shared their own ideas ranging from the gym, to cafes and even less physical notions like “anywhere with friends” as the exercise began. After the presentation, CannonDesign workshop leaders gathered groups of five at random and began to lead them through a series of brainstorming exercises about how they define “The Third Place.” Our workshop leaders came from different disciplines – architecture, interior design, advisory services – and modeled the workshops based on how they engage clients. None of the attendees knew they’d be part of an interactive workshop, which ensured their responses were authentic and unrehearsed – making this a learning moment for everyone involved. CannonDesign practices this daily, with wellness spaces being a key component of our projects, not just in health care, but in education and corporate/commercial work as well. These themes demonstrate the need for a space that caters to many, while being personalized for the individual. Discovery: The final and most appropriate theme of the workshop, demonstrating how we should encourage people to discover new interactions in space. 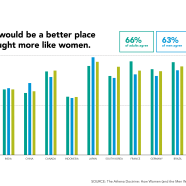 In so many ways, our Fast Company Fast Track modeled the ways we engage our clients. 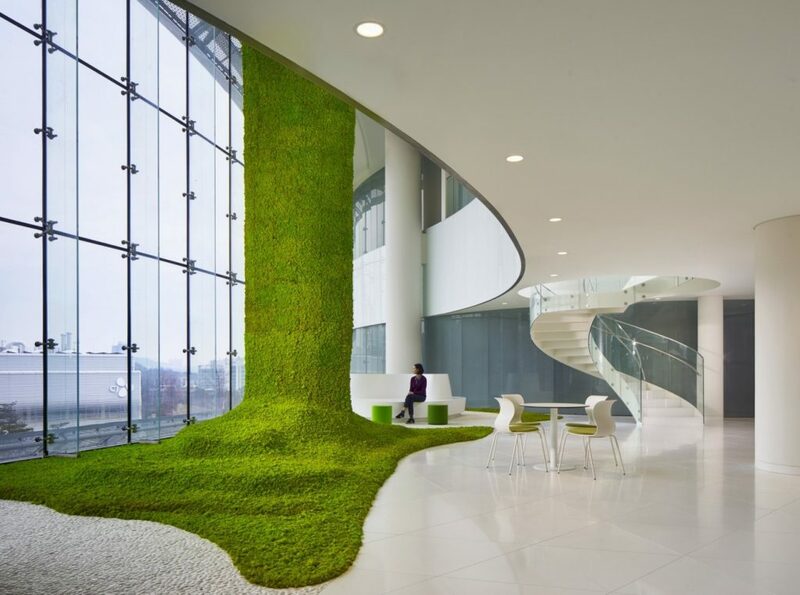 As designers, we are constantly working with our clients to infuse wellness into the spaces we create across healthcare, education, workplaces, etc. We help our clients articulate the needs they know they have and hopefully uncover needs they hadn’t previously considered. It was awesome to host a Fast Track as part of the Innovation Festival and we’re grateful to everyone who attended and took part. We’re hopeful the participants learned as much about wellness and “The Third Place” as we did for the experience.